For a complete list of policies, visit the University Policies page. 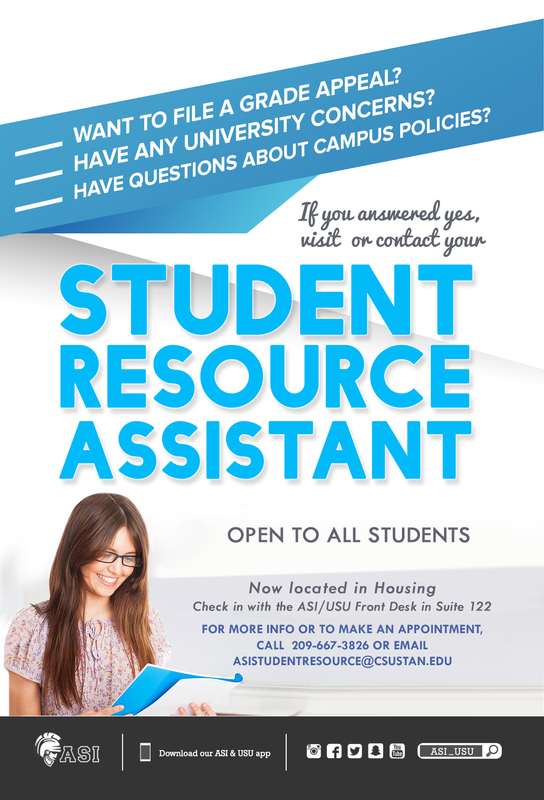 Students should contact their ASI Student Resource Assistant for assistance with the grade appeal process and help understand the University policies and procedures. Grade appeals may only be submitted in the first four weeks of the semester following the semester in which grade was received. Example: To challenge a grade received for the Fall semester, a grade appeal must be submitted during first four weeks of the Spring semester. Grade appeals may be started during Winter or Summer breaks. The ASI Student Resource Assistant has more information about Grade Appeal Workshops and Important Deadlines.